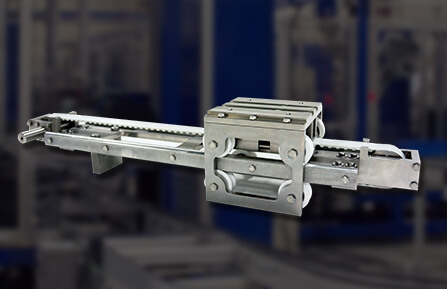 Automation plays a large role in the packing industry. 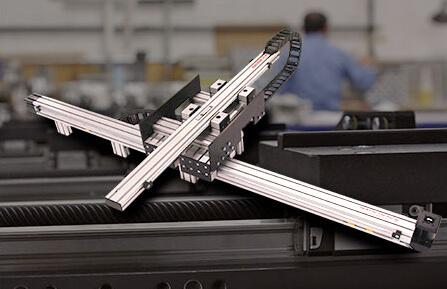 From pick & place to automated palletizing, see how you can use linear robots to solve packaging automation challenges. To assist a bulk mailing company with their high speed labeling efforts, Macron provided a unique multi-axis system, adjustable to different heights and widths to apply labels to a steady stream of various sized, randomly oriented packages. 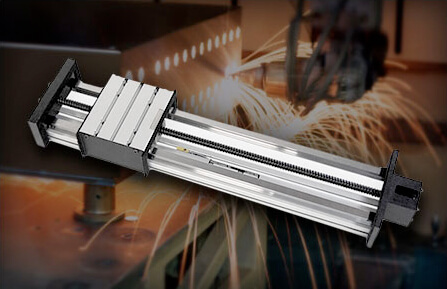 Macron recently supplied a client with a telescopic-z axis for their packaging XYZ gantry in order to fit within the client's spatial constraint. When a client sought a solution to handle the programmable dispensing of adhesives for part of an automated packaging system, Macron engineers delivered. Macron Dynamics worked in conjunction with a distribution partner to design and manufacture a two axis XY, low cost gantry for this programmable adhesive dispensing application. The pick and place system is used in the clothing manufacturing industry and is an integral part of the clients packaging automation. 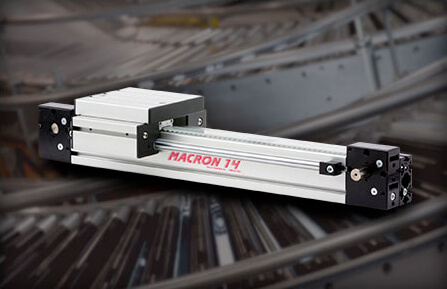 Multiple Macron 6 belt driven linear actuators were used along with customized MacFRAME machinery framing.